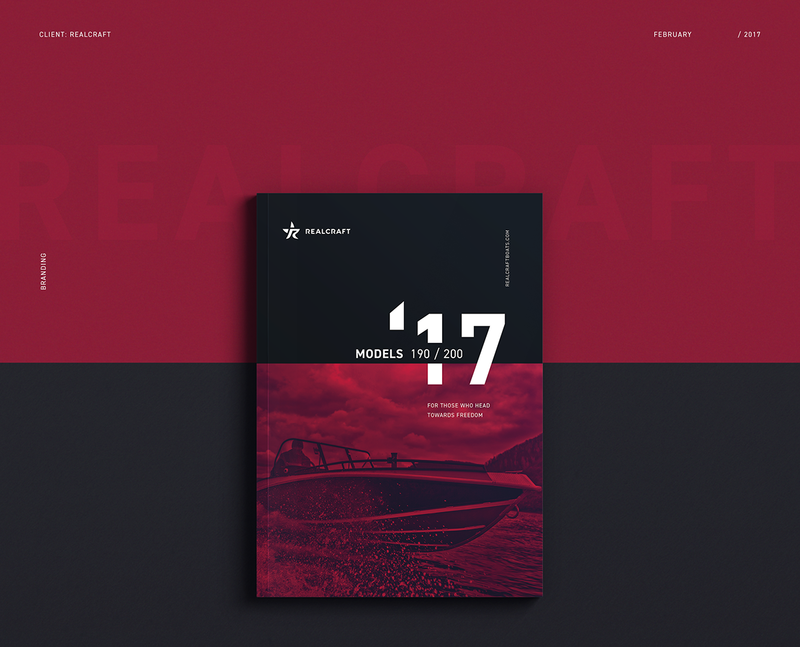 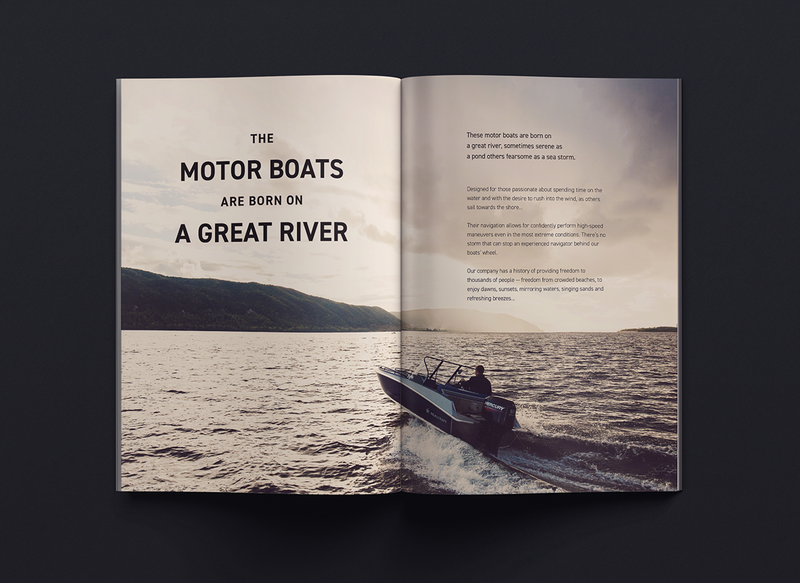 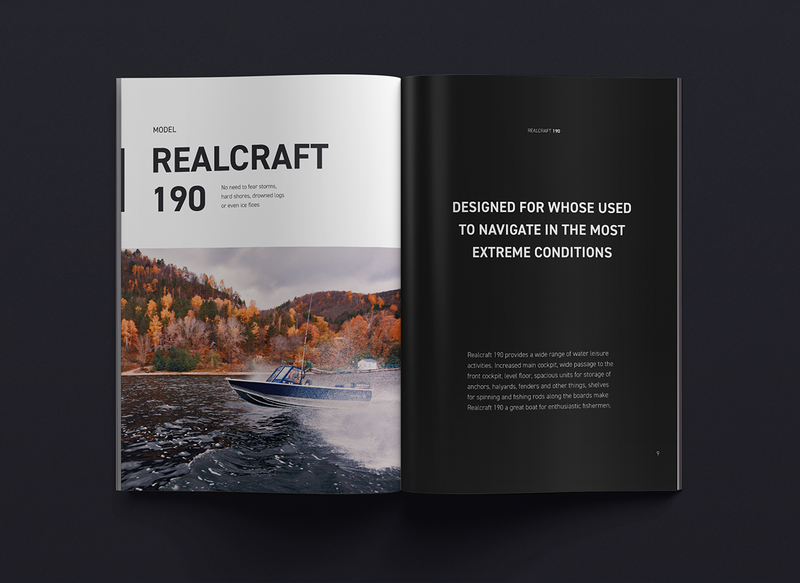 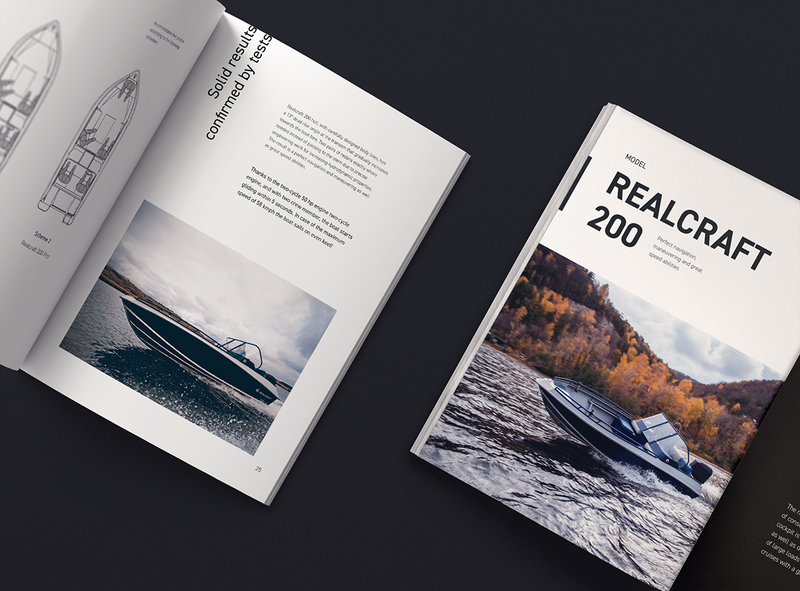 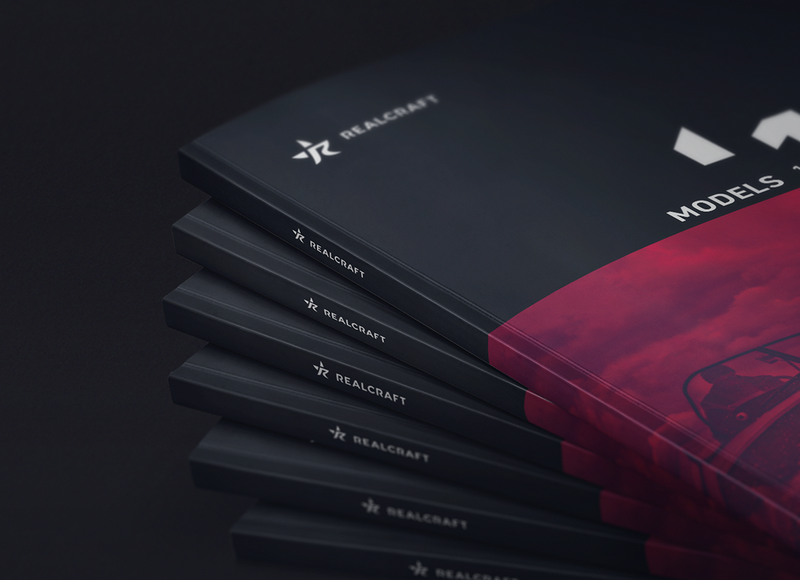 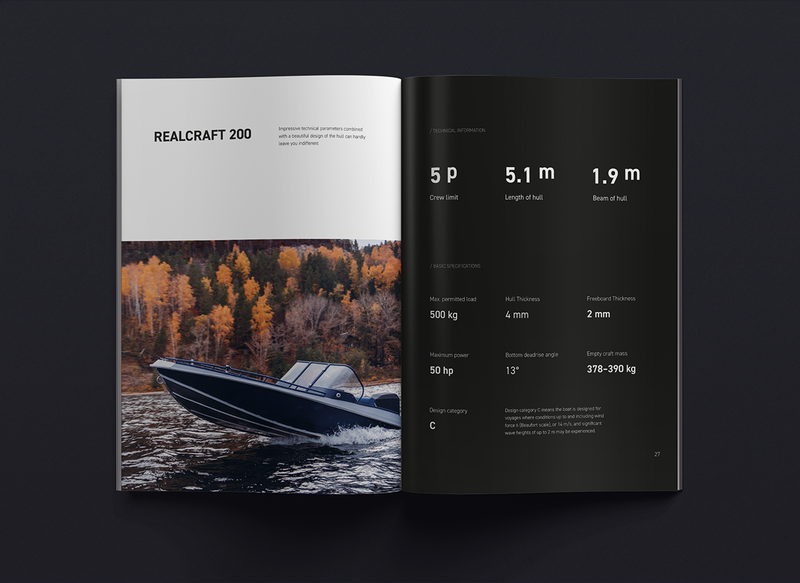 Catalog design for Realcraft motor boats manufacturer. 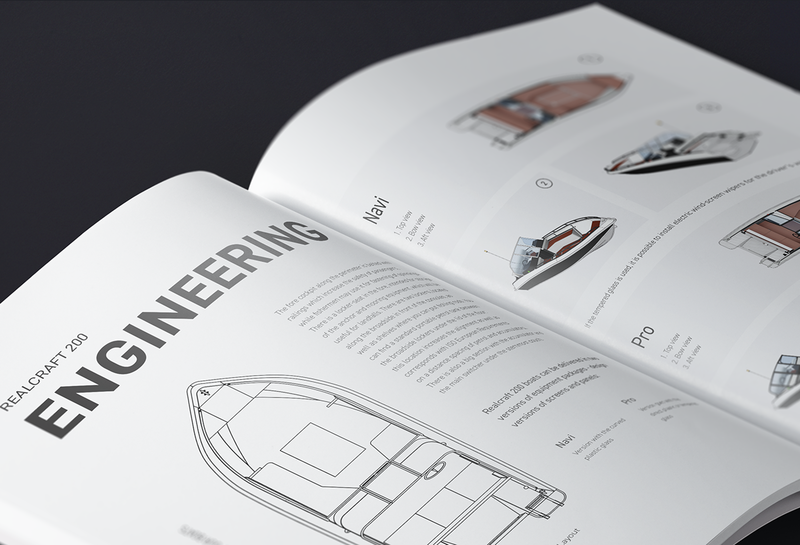 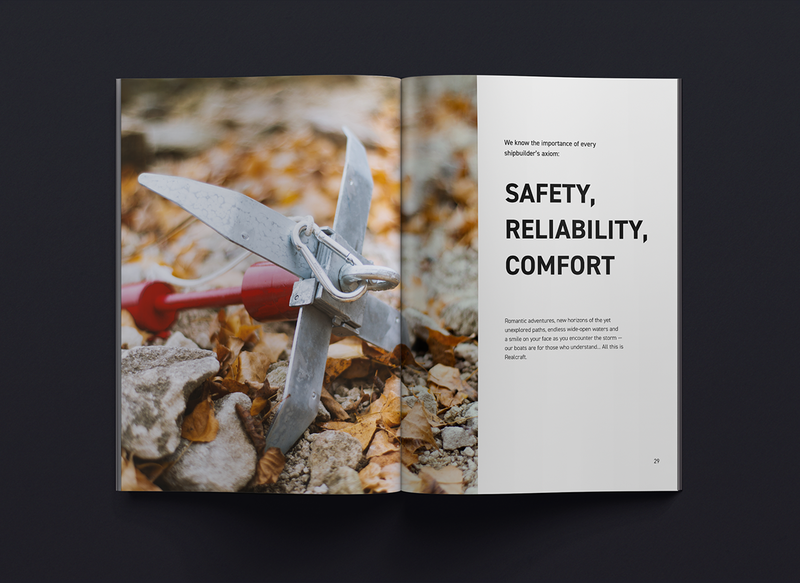 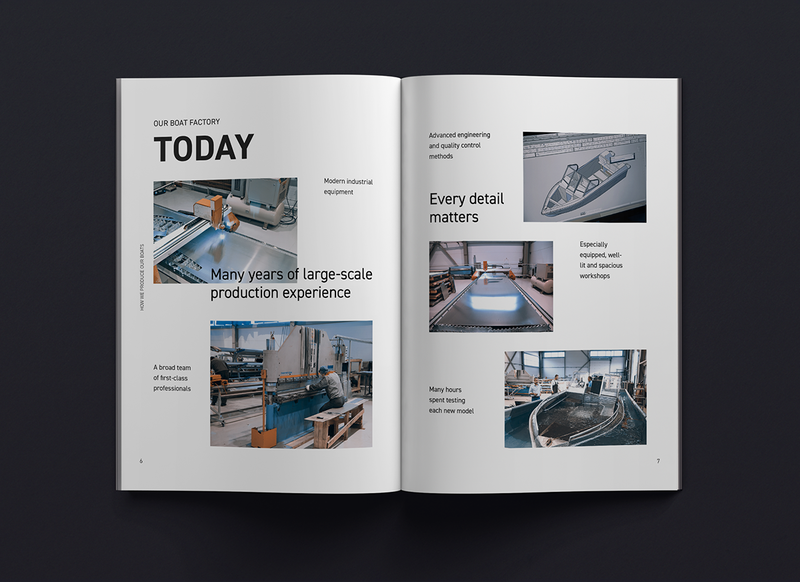 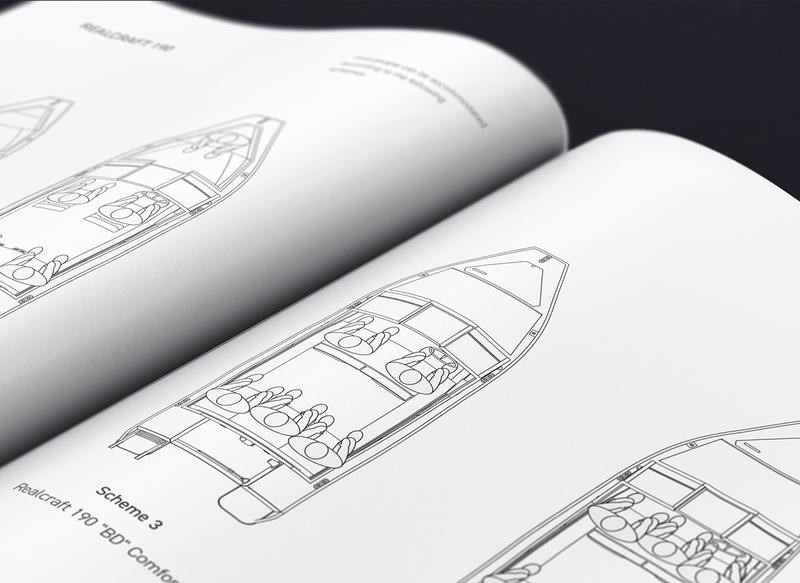 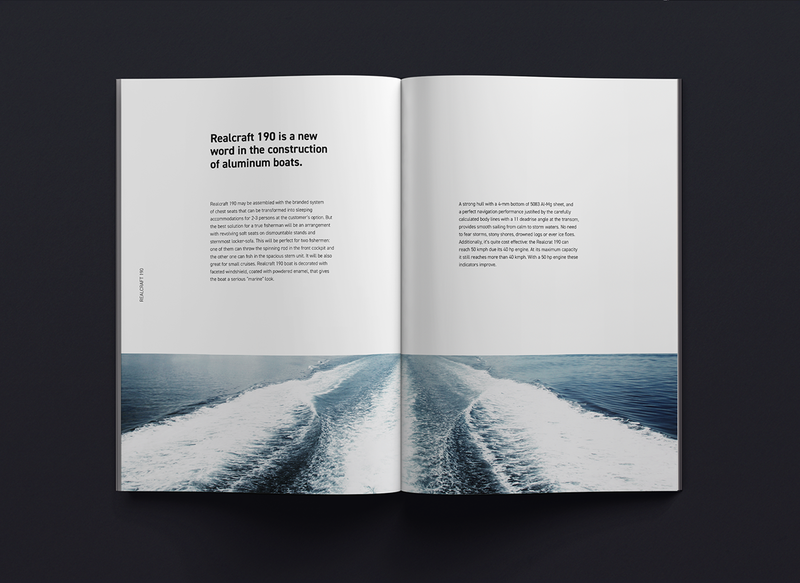 The edition contains chapters about the company and a boats lineup. 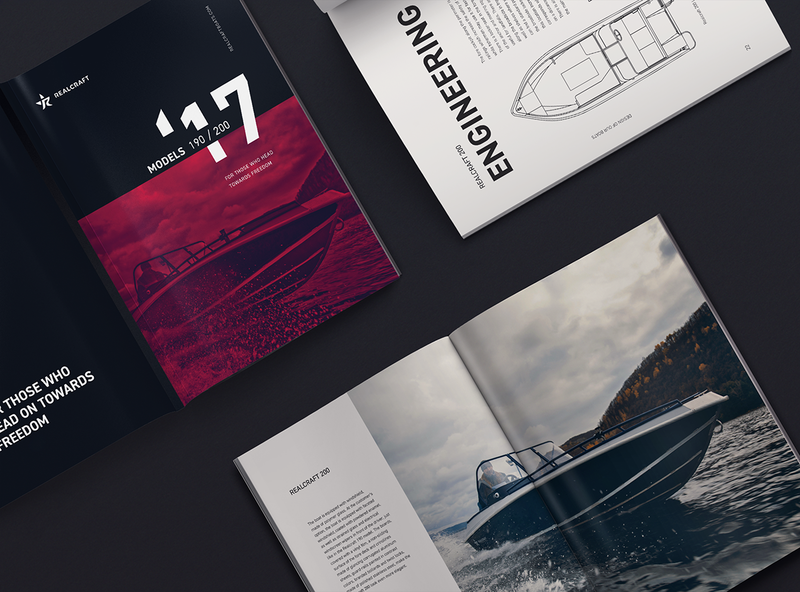 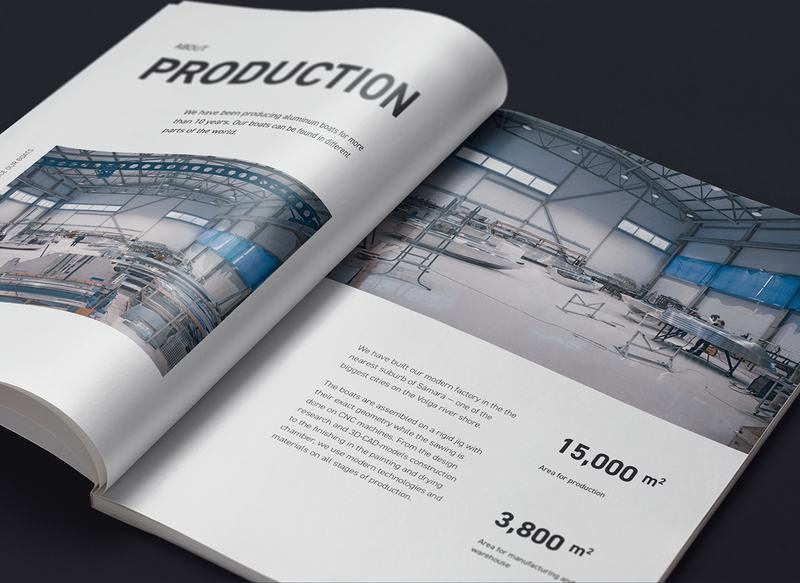 In February 2017, the catalog was presented at the Helsinki International Boat Show in Finland.